You move back with your Nikon camera to take in more of the scene, but run out of space. We’ve all been there, right? It’s frustrating at best, and costly in a worst-case scenario. Maybe the realtor can only photograph part of a room he or she needs to promote. The 10 best Nikon wide-angle lenses in this guide put an end to this and other narrow angle-of-view (AOV) frustrations. Interior photography is one of many situations where wide-angle lenses come to the rescue. Crowd shots or group selfies are other circumstances where you may want to capture the entire scene. Creative photography benefits, too. The wider the field of view (FOV), the more you get to create. You can emphasize or exaggerate, grow or shrink an object to its background and foreground. Put a wide-angle lens onto your Nikon camera and let imagination do the rest! This guide looks at lenses from ultra-wide fisheyes up to around 35mm, from prime lenses to wide-angle zooms. Maybe the biggest surprise is that these picks are not all Nikon brand lenses. The reason is simple. Some third-party products offer better value for Nikon cameras than the company’s optics. This guide is for anyone who owns a Nikon DSLR and wants to add a wide-angle lens to their camera bag. Keep reading to find out why these incredible chunks of glass made my 10-lens shortlist! Click to See Price: Nikon AF-S FX NIKKOR 20mm f/1.8G ED Meet the revamped NIKKOR 20mm f/1.8G ED, a beautiful piece of glass, to begin this guide. The optical design is unrecognizable compared to its predecessors. The lens also boasts 1.3 stops faster. It’s the ideal lens for anyone who needs something wider than the 28mm f/1.8G. It’s lighter in both weight and the pocket than the costlier and very capable AF-S FX NIKKOR 24mm f/1.4G ED. This lens blew me away. I expected it to be good, but it exceeded my expectations in all areas. That refers to optical performance, silent autofocus, and smooth handling. The robust plastic has a smart, textured finish. The grip makes it feel comfortable and confident in the hands. And the rubber gasket and metal lens mount seem to do an excellent job of dustproofing. There’s a lot to like with this beauty, so let’s move on and look at things in more detail. 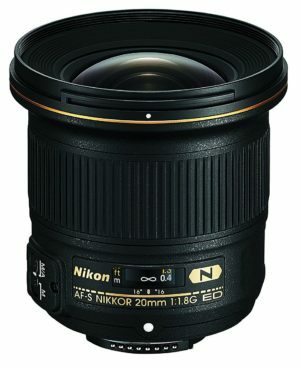 Reviewers like the Nikon AF-S FX NIKKOR 20mm f/1.8G ED lens. Some even say it’s the best wide-angle prime ever. It’s easy to tell when a user likes a product by the details in his or her feedback. Owners of this lens write plenty to share their experience. There are many photos uploaded, too, and that’s always a great help for potential buyers. Astro-landscape photographers love it! Landscape photographers and realtors appreciate the lens’ versatility, too. It’s also popular with those who like to photograph people, places, and things with dramatic background effects. It seems to be the go-to lens for all kinds of creative close-up and low light photography. The only common complaint is with the build, but there are almost no criticisms about image quality. A key factor for dedicated photographers is the weight of their gear. At just 12.5 oz., the Nikon AF-S FX NIKKOR 20mm f/1.8G ED is a featherweight, and that’s a good thing. The f/1.8 max aperture makes this a fast piece of glass. It means fewer spoiled handheld shots in low light situations. The fast aperture also gives you more control over shallow depth of field (DOF). Working in tight or awkward spaces is even easier with the 7.8-inch close focus. Being able to get so close to the subject provides many creative opportunities. The autofocus is whisper quiet, and it’s fast and accurate. Overriding the built-in AF is a simple case of turning the focus ring. This affordable, capable wide-angle lens comes with a soft pouch and a lens hood. The petal-shaped hood is a tight fit and doesn’t wobble. We can’t say the same for all brands. A few other highlights worth noting are the Silent Wave Motor (SWM) and the rear focusing system. The superior lens system also needs a mention. There’s AS, ED, N, and RF. The aspherical (AS) lens elements help to reduce certain kinds of aberration. ED stands for Extra-Low Dispersion glass. The job of ED is to correct instances of chromatic aberrations (CA). N is for Nano Crystal Coat, which reduces ghost and flare. Nikon puts a lot of thought into its optics, and it pays off. They’re famous for high-end lenses across all the ranges, albeit on the pricey side. We all want effective weather sealing on our costly lenses. There are reasons—aside from cost—why makers leave it out. The 20mm f/1.8G ED is not totally exposed to the elements, though. On quality, there’s some noticeable vignetting (shading) and degradation at the corners. These things are most evident at f/1.8. Vignetting was barely noticeable at other settings. The biggest letdown for me is also one of the advantages. The lens is so light and plastic that it feels a bit cheap. Performance is excellent, but the body seems fragile enough to break easily. Not all plastic is equal in thickness and durability. I think the Nikon AF-S FX NIKKOR 20mm f/1.8G ED is stronger than it looks. It’s a shame it doesn’t feel that way. Click to See Price: Sigma 24mm F1.4 ART DG HSM Sigma’s 24mm F1.4 ART DG HSM for Nikon is an impressive chunk of glass. It feels as good as it looks, too. Its performance is on a par with other fast ART lenses, though not everyone agrees. Lens snobs who are loyal to brand optics should rent this puppy out and give it a go. Okay, so it’s a third-party lens. Even so, it’s sure to impress the most critical shutterbugs if they compare it like-for-like. Images are sharp, and the bokeh effect with this lens is amazing. There is a little noticeable color fringing on some shots. It’s not severe, though, and easy to remove using post-production software. The autofocus is fast and always quiet, but it’s not constantly accurate. I only found this issue at the wider apertures. The reason I mention it is that I came across a few similar complaints (see below). Still, there’s no such thing as the perfect lens—yet. Overall, this is a fast and beautifully engineered product. It boasts exceptional optics, produces consistent results, and has an affordable price tag. Some reviewers are familiar with 35mm and 50mm ART lenses. A few don’t think the Sigma 24mm F1.4 ART DG HSM is in the same league. They still consider it a worthy contender, nonetheless. The creamy bokeh gets a lot of mention, and with good reason. It’s also a favorite wide-angle prime lens for astrophotography, weddings, dance floors, real estate, and creative photography. Price is another thing that makes this a popular wide-angle prime. The affordability factor likely excuses a few of the minor drawbacks, namely the slow focus and some distortion. It seems that around 80% of owners would recommend this lens going by the reviews. The most talked about features are the fast wide aperture, quiet mechanics, and tack sharp images. Possibly the most significant criticism—though not shared by all—is the inconsistent autofocus. Sigma’s fast F1.4 aperture makes this an ideal lens for working in low light and tricky lighting. It also gives you incredible control over focus positions when using shallow DOF techniques. The company designed this lens with a cutting-edge optical structure. They’ve managed to achieve impressive corner-to-corner illumination, high resolution, and consistent tack sharp images. Creamy bokeh effects are superb for a lens this wide. The quality of Sigma’s out of focus areas surpasses other lenses of a similar class. That includes big names like the Canon 24mm f/1.4L II. There’s a quiet and fast built-in autofocus system thanks to the efficient Hyper-Sonic Motor (HSM). A simple switch on the side lets you shift between autofocus and manual focus with minimal effort. Anyone who owns a Nikon with an APS-C sensor should seriously consider the Sigma 24mm f/1.4 Art. The optical elements make this such a great lens. It’s not necessary to understand what these are in great technical detail. Just know that they help to eliminate or reduce typical image quality issues. This 24mm F1.4 ART has 15 elements in 11 groups. Three FLD elements and four SLD elements help to reduce chromatic aberrations. The lens also has something called Super Multilayer Coating. Super Multilayer Coating does a few things. It diminishes ghosting and issues with lens flare. The result is contrast-rich and more color neutral photographs. At just 25 cm or 9.8″, the minimum focusing distance is impressive. The 77mm filter thread allows extra protection and special effects. Other protection includes lens caps, a lens hood, and a lens case. 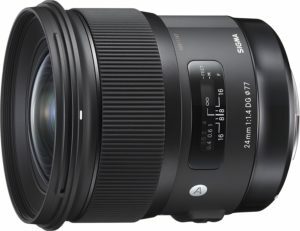 The Sigma 24mm F1.4 doesn’t have weather sealing. It’s an affordable lens, so something has to give. I still think photographers would pay extra for sealing, even with the increased cost. Another common gripe among some photographers is the autofocus. It’s not an accuracy issue in daylight—it’s more to do with AF speed, or slowness to be more precise. I didn’t notice any significant AF problems. So why list it in the disadvantages? Because there are enough comments to suggest it’s a potential issue for a few users on some cameras. A final complaint is that the lens only stops down to f/16. F/16 can be problematic when shooting in bright sunlight. You may have to change ISO settings or use ND filters to compensate. Click to See Price: Nikon AF FX NIKKOR 28mm f/2.8D Next up is another Nikon. This time, it’s the AF FX NIKKOR 28mm f/2.8D. There are wider, faster wide-angle prime lenses, but don’t let that deter you. What we have here is a decent general-purpose lens. The AF FX NIKKOR 28mm f/2.8D is also an excellent choice for budget-conscious amateurs. This beauty falls well under the $300 radar at the time of writing. Experienced and professional photographers would find a few faults with this NIKKOR. It’s a perfect walk-around lens for rising stars, though. It produces consistently sharp images, even in low light. There are no complaints about the image quality as a lens in this price category. If it costs more, well, I could complain that it doesn’t excel until around f4. But it doesn’t cost more—so I won’t. At 7.2 oz., you hardly notice its presence, and that’s the point. The 74° angle of view is perfect for close-up portraits, architecture, landscapes, and travel photos. Colors and contrast are also impressive. Is it a lens for keeps? That depends where you’re taking your photography. Those on a journey to better things may want to trade it in a few years down the line. Others are certain to hold on to it. Reviewers write about the compact, lightweight design of this wide-angle lens. They praise it for its price and general photographic appeal. It’s a popular choice for handheld, low-light photography. Users love their Nikon AF FX NIKKOR 28mm f/2.8D, as a walk-around lens. For many people, this is their first and widest lens. It opens up the potential to shoot in smaller spaces. It gets plenty of compliments as a wedding lens at the amateur level. From what I’ve read, people who buy the NIKKOR 28mm f/2.8D are mostly happy with their purchase. This is not a lens for experienced enthusiasts or overly creative types. It is, however, an excellent choice for those who want a reliable lens that meets their needs. You won’t find lengthy reviews or rows of uploaded samples with this product. 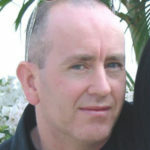 But there are plenty of short, straightforward, easy-to-grasp appraisals from real users. Nikon’s AF FX NIKKOR 28mm f/2.8D is light and compact. The reduced design lets you get up close and personal—9″ from the subject—and attain natural, wide-angle results. Optical capability is fundamental, but so is a lens’ handling. This puppy should sit well on all Nikon bodies. It’s certainly not going to make any camera nosedive like some heavier lenses do. The small size and lightness make this the ideal walk-around lens if you work with 28mm. For Nikon’s FX-format, the angle of coverage is 74°. For the DX-format, the coverage is 53°. It’s a focal length perfect for portraiture, rural landscapes, urban landscapes, and candid shots. 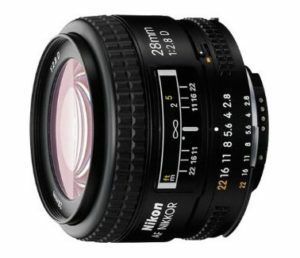 Nikon designed their AF FX NIKKOR 28mm f/2.8D as a versatile multipurpose wide-angle lens. As for the optics, it boasts improved light transmission with reduced ghosting and flare. These enhancements are thanks in part to Nikon’s Super Integrated Lens Coating. The Nikon AF FX NIKKOR 28mm f/2.8D is a great lens—for the money. That last point is relevant. Yes, it’s a brand lens, but you can expect an average everything rather than exceptional. You only notice the average performance if you compare the lens to superior products. Center sharpness is quite soft at f/2.8, but it improves a lot at f/4 through to f/22. It’s nitpicking, I know. But I want to point out that image quality is good—not remarkable. The autofocus is audible, but it’s not so obvious outdoors. Note that the lens autofocus is reliant on a camera’s AF motor. That means there’s only manual focus with Nikon’s DX-format bodies. Click to See Price: Nikon AF-S DX NIKKOR 35mm f/1.8G The AF-S DX NIKKOR 35mm f/1.8G is what Nikon calls the everyday companion. It has the narrowest Field of View (FOV) of these wide-angle picks, but it’s just wide enough to make this page. Many of us have one lens that spends most of its time on the camera. This one’s a wise choice for DX-format DSLR shooters. It’s fast, compact, lightweight, and provides a more natural FOV. Photos are tack sharp even at wider apertures and in low light, thanks to the fast f/1.8 aperture. The blurred backgrounds are pleasing too, which adds further to the lens’ appeal. It has full-time manual focus override that I find that invaluable for close-up work and low-light shooting. And the Silent Wave Motor (SWM) means you get autofocus on all Nikon’s DSLRs. Nikon’s 35mm f/1.8G is a lens for keeps. It’s a prime piece of glass with pretty much the same angle of view as the human eye. There are always situations that call for the natural perspective. My only real gripe is that the lens feels a tad cheap in the hands. Not all plastic builds have that plasticky feel. I’m sure it’s robust enough, and the plastic does contribute to the lighter weight. 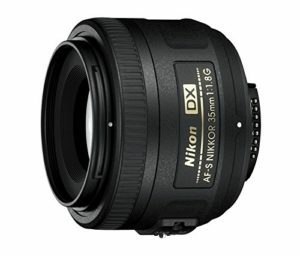 Nikon’s AF-S DX NIKKOR 35mm f/1.8G prime lens sells well. It’s at the narrow end of wide angle, and people like it because it sees pretty much how they view the world. Over 95% of user reviews approve of this lens. That figure alone is enough to sway anyone who’s on the fence about a 35mm prime. It’s a popular choice for low-light photography, too. The NIKKOR 35mm f/1.8G is a lens that people love to write about. There are many impressive images uploaded to go with some of the reviews. The overall value for money gets a lot of mention, as well. You can see from the feedback that the NIKKOR 35mm f/1.8G is a first lens for many budding shutterbugs. It also seems to be a favorite spare lens for more experienced photographers. Nikon’s AF-S DX NIKKOR 35mm f/1.8G is as sharp as it is bright. Even at its widest f/1.8 aperture, the results are more than acceptable with very little softening at the corners. Once stopped down to f/2.8, the results are close to flawless. Only the most critical eye would see any real difference between the center and corner sharpness. Mot bokeh lovers have no complaints with their out-of-focus areas. The 7-bladed diaphragm helps to produce beautiful results. That said, bokeh preferences are often subjective. This lens is simple to use, weighs about seven ounces, and is just over 2 inches long. The lightweight, compact design makes it a great travel companion, and it balances well on all DSLR camera bodies. The field of view (FOV) is on the wide side of natural and one of the easiest to shoot. It’s among the company’s most affordable lenses at the entry-level for DX Nikons with APS-C sensors. Enthusiastic amateurs accept compromises, but they still want the best their budget can buy. The Nikon AF-S DX NIKKOR 35mm f/1.8G checks many of the right boxes at the beginner photographer level. It’s a smart little lens, ideal for low light photography. It’s a great all-around lens for portraiture (including pets), landscapes, and buildings. That’s why it spends a lot of time on DSLR bodies. The aspherical lens element improves overall integrity. It works by minimizing coma and other common types of aberrations. Nikon’s Super Integrated Coating (SIC) enhances quality still further. Nikon’s AF-S DX NIKKOR 35mm f/1.8G is fast, fun, and frustrating. That’s because it’s on the narrow side of wide-angle and used for more general type photography. It also means plenty of footwork. Shooting with fixed focal length lenses means lots of movement. Photographers have to continuously get closer to or further away from their subjects. All that legwork can be exhausting. There’s no Vibration Reduction (VR) with this lens, and it’s a common complaint in the user reviews. But does a lightweight, compact, fast aperture lens like this demand VR? I think not. The final gripe is with the feel rather than the build. It’s another of Nikon’s plasticky lenses. Not all plastic lenses feel fragile, but this one does. I don’t think it is fragile—it just feels that way. Click to See Price: Nikon AF-S 8-15mm f/3.5-4.5 ED Fisheye No wide-angle lens reviews would be complete without a fisheye. This beauty is a NIKKOR ultra wide-angle lens with zoom capability. It also happens to be the company’s widest available zoom. Not every photographer wants or needs to capture circular 180° images. Those who do can’t always justify the cost of these fascinating lenses, but it’s a great investment for those who can. Fisheye photography is something that captures the imagination. Even if it’s not your thing, few can resist looking at striking close-up fisheye images. This lens can focus as near as 0.5″ from a subject. I love this lens for macro-style fisheye photography. Then there are the intense, captivating visual distortion effects of ultra-wide panoramic landscapes. That’s what fisheye photography is all about. Hemispherical photography has no limits other than imagination. The Nikon AF-S 8-15mm f/3.5-4.5 ED has weather sealing. It also has a fluorine coat to help protect it on outdoor shoots. As this is an ultra-wide-angle zoom lens, you get to choose the perspective you want. It certainly brings out the creative side of any photographer. There’s very little to fault with this ultra-wide-angle zoom lens. My only real gripe is that it’s thick and weighty to the point where you really notice it after a while. Lenses like the Nikon AF-S FISHEYE NIKKOR 8-15mm f/3.5-4.5E ED have a small following. It’s not an everyday lens for most photographers, but those who own one love it to bits. You get what you pay for, say reviewers, and they’re right. The lens isn’t cheap, but it’s not outrageous either. The fact that you get two quality lenses for the price gets it a big thumbs-up. Those who use this ultra-wide-angle fisheye zoom value the moveable lens hood. Adjusting the hood at 8mm prevents it from blocking the fisheye effect. It also provides ample protection from stray light. Artistic photographers admire this NIKKOR fisheye for its creative capability. They appreciate it for things like temples and cathedral interiors, and for catching a particular mood at scenic spots. Reviewers also talk of the sharpness and fast focus. They like having the choice to go from circular to diagonal shots with the same lens. It’s a specialty lens for folks dedicated to ultra-wide-angle photography. It gets a lot of credit for all the right reasons, and it has almost no shared criticisms from those who buy it. The build quality is exceptional, made even better by its built-in protection. The lens is dust and moisture resistant and thus weather sealed up to a point. In general, prime lenses offer superior optics than zooms. But the NIKKOR 8-15mm f/3.5-4.5E ED has impressive image quality across its focal range. Clarity is remarkable at almost all apertures. Users enjoy corner-to-corner image quality. Sharpness may not be perfect across all ranges, but it’s still darn good. At the wide 8mm end, the central sharpness is exceptional from f/3.5 down to f/16. There’s a little drop off in sharpness at around f/22, but it’s not much. Exceptional overall image quality is what makes this lens so popular among its fans. It’s not a cheap lens, but the price does nothing to deter those who want it. And Nikon’s 5-year warranty adds to user confidence in what is a remarkable UWA zoom. You get what you pay for, as the saying goes, and it’s a true statement. The high price of the Nikon AF-S 8-15mm f/3.5-4.5 ED fisheye puts it out of reach for many aspiring amateurs. The high cost doesn’t mean it’s overpriced, but it does make it too expensive for many. It’s not only heavy on the pocket either. The 30-ounce weight makes this a hefty chunk of glass too. The large front element adds further to the lens’ heft. There’s no filter thread with this fisheye zoom either. No filter makes the front more prone to fingerprints and potential scratches. Click to See Price: Sigma 10-20mm f/4-5.6 EX DC HSM The next item on my list of ultra-wide-angle (UWA) zoom lenses is the capable Sigma 10-20mm. At f/4–5.6, it’s not as fast as the NIKKOR choice above, but it’s still a worthy contender. Sigma’s 10-20mm lens has built-in autofocus and full-time manual focusing. It comes with a protected hood. Alas, the lens doesn’t have any kind of weather sealing. The 77mm (non-rotating) filter thread lets you add an extra layer of protection to the front element. This thread is not typical in UWA zooms. It’s a big deal as it also makes creative photography easier. The absence of weather sealing means you have to be careful shooting outdoors. The build quality, though, is impressive and feels solid in the hands. I’m a big fan of the smooth, crinkle EX-finish. Both focus and zoom rings have a smooth, damped feel about them. You do feel a little movement as the lens focuses, but that’s a minor nitpick rather than a major concern. Another pleasing aspect is the fast Hypersonic Motor (HSM) AF-drive. The HSM is as close to silent as it can be. In single-shot AF mode is full-time manual focusing—another sought-after feature. The 16.5-ounce weight is on the lighter side of heavy and acceptable for a lens in its class. I would add the Sigma 10-20mm f/4-5.6 EX DC HSM to my shortlist if I needed a new UWA. This Sigma lens is the beast to pull out of the camera bag when no other lens can do the job. It’s perfect for those fascinating landscapes or tight spaces where only a wide angle can get. Yes, there are a few minor imperfections at 10mm. But I didn’t find any distortion or CA that wasn’t easily fixable in Photoshop. It’s a marvelous piece of glass with an affordable price tag to boot. The third-party Sigma 10-20mm f/4-5.6 EX DC HSM is a well-liked ultra-wide-angle zoom. The reviews suggest around 85% of users would recommend this affordable lens to others. They approve of the fast, silent AF and instant manual focus override. The quality build gets a lot of mention as well. Some say the build is as good as—or better than—many NIKKOR lenses. You can find plenty of user images uploaded with their written feedback. There are some exceptional landscapes and event shots in particular. The Sigma 10-20mm f/4-5.6 is not without critics though. Those who find fault with this lens tend to be seasoned professionals. They defy other reviews that talk about exceptional sharpness. These critics say the sharpness falls off on the outer edges. It’s a good idea to know what critics compare a lens to before making a judgment. There are always faults to find when someone compares a product against much costlier, superior alternatives. Sigma’s 10-20mm f/4-5.6 EX DC HSM has a metal bayonet mount. The matte black housing feels comfortable in the hands. And the tiny spec effect adds a beautiful decorative finish to the exterior. Using this lens is a joy thanks to its efficient operation. Both focus and zoom rings are silky smooth and damped to perfection. I didn’t abuse this lens, but I got the feeling it could put up with a lot. A little lens flare and vignetting are usual with any UWA zoom at its widest end. 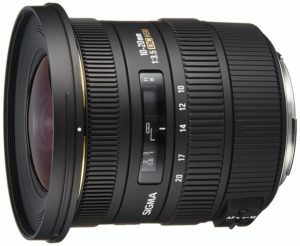 Sigma’s 10-20mm is no exception. Overall, though, image quality is outstanding for a lens in its class and price range. The Hyper Sonic Motor (HSM) is Sigma’s internal mechanism that controls the autofocus. It ensures fast, accurate, and whisper quiet focusing for all but the lowest of lighting conditions. There are faster ultra-wide-angle-zooms out there, and slower ones, too. The Sigma option here is a bargain when you consider a new one only costs around 500 bucks or less. It’s an excellent choice for anyone who needs ultra-wide-angle flexibility on a budget. It’s ideal for creative landscapes, architecture, and for bringing large groups of people together in a single shot. The lens is not without a few faults. So can its drawbacks sway your views? Keep reading to find out. The lens moves (extends) about 1/4″ at the long end as it zooms. It doesn’t move while focusing, though, thanks to the smooth internal focusing (IF) system. Sigma’s 10-20mm f/4-5.6 EX DC HSM has some protection against dirt and moisture, but it’s not weather sealed. That means photographers have to be forever cautious when shooting outdoors. An f/4–5.6 aperture is slow enough to cause some photographic restrictions. However, it’s not slow when you consider the affordable price of this UWA. Photographers with experience of faster lenses find the autofocus quite slow on this one. But the AF is consistently accurate despite the “speed” gripe. Click to See Price: Tokina 12-28mm f/4.0 AT-X Pro DX Lens For less than 150 bucks (at the time of writing) is the 12-28mm f/4.0 AT-X Pro DX lens. It’s an affordable wide-angle to standard zoom designed for DX/APS-C sensor. You can also use this lens with an FX sensor camera. Alas, there’s a cost at the shorter focal lengths. In this case, dark outer edges and some extra vignetting become more apparent. I’d say this is the perfect compromise lens. Not everyone wants an ultra-wide-angle. Yet there are times when all photographers could use a wider angle of view (AOV). That’s what this puppy delivers. It’s an excellent lens for people shots, larger interiors, and landscapes in particular. It’s an ideal piece of glass for photographic journalism as well. Tokina’s 12-28mm hits that sweet spot we often look for. I found it comfortable to hold for extended periods. The way a lens feels is a crucial factor for those who go on long shoots. Yes, this Tokina product certainly checks plenty of boxes. Fans of blurred backgrounds love the rounded bokeh effect produced by this lens. For what it is—and for what it costs—I didn’t find any significant image quality issues. Tokina’s 12-28mm f/4.0 AT-X Pro DX is not as popular as others are in its class. Despite this, over 90% of those who get their hands on one of these are happy with their purchase. The affordability certainly helps at just over 400 bucks for a new one. It’s not surprising that people mention the value for money aspect in their reviews. It’s a popular first choice of wide-angle-to-standard zoom for budding amateurs. It especially appeals to photographers into astrophotography, architecture, and landscapes. On the downside, vignetting gets some mention, especially at full aperture. It’s more of an observation than a criticism though. Most photographers have realistic expectations for a lens in this class. Reviewers also know that a little vignetting and chromatic aberration does not mean ruined photos. Most of these quality issues are easy to rectify using image manipulation software like Lightroom. Let’s start with the versatile zoom range of the Tokina 12-28mm. The broad wide-angle to standard zoom makes it a good choice of walk-around lens. It’s not too heavy, either, which adds to its appeal. The lens’ internal autofocus SD-M motor is worth a mention. The AF is fast, quiet, and it should work seamlessly with cheaper Nikon DSLRs. You can disengage the AF at any time by sliding the focus ring. Internal focusing (IF) means the front and rear elements move inside the barrel. No movement of the outer barrels results in faster focusing, and no bumping into macro subjects. Tokina’s constant f/4 aperture distinguishes the lens from its variable-aperture rivals. Constant apertures improve performance in a variety of situations and particularly low light photography. Molded glass aspherical lens elements help to correct spherical aberration and distortion. And the lens’ ultra-low dispersion (UD) glass works by suppressing Chromatic aberration (CA). I like the one-touch AF/MF clutch feature of this compact lens. What I don’t like is the clunky feel it has when switching between auto and manual focus. The focusing ring works just fine. The only problem is that it seems a little loose to the touch. It would feel a lot better if they stiffened it up a tad. Not a major gripe, but it’s still worth a mention. You are probably noticing a pattern with these complaints. Everything handles well and functions as it should. But it doesn’t provide the same smooth experience found with some rival lenses. The f/4 aperture is on the slow side at the wide end. For the price, though, and despite its flaws, this is a high-quality piece of glass. 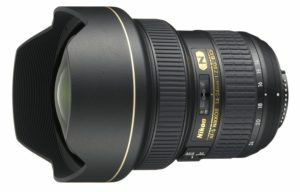 Click to See Price: Nikon 14-24mm f/2.8G AF-S NIKKOR ED My eighth pick is the renowned Nikon 14-24mm f/2.8G AF-S NIKKOR ED. It’s clear just by the title that this is a first class lens. And what a marvelous chunk of glass it is too. We all want edge-to-edge performance in a lens but can’t always afford it. This beauty delivers on all fronts. The colors are fantastic, and the lens contrast is consistent across the entire zoom range. Nikon’s 14-24mm f/2.8G is a lens that I love to look at and hold as much as I do use. It’s a geek thing. The Silent Wave Motor (SWM) is ultra-smooth, fast, accurate, and as quiet as a whisper. The sturdy, rugged exterior and quality build protect the lens in the most demanding conditions. And the professional-grade moisture and dust resistance add further to this professional NIKKOR. Few lenses inspire me as this one does. The fast, fixed f2.8 aperture guarantees to deliver every time, even in challenging light. Almost everything about this lens is outstanding—almost. For pro photographers, the AF-S NIKKOR 14-24mm F2.8G ED is an invaluable tool of the trade. It’s a dream lens for enthusiastic amateurs, and guaranteed to take their photography to new heights. I only noticed two drawbacks. You can read about those further down the page. With around 98% approval rating, this lens is a surefire winner with reviewers. People use terms like second to none, as good as it gets, and worth every single penny in their feedback. One of the biggest complaints is the lens’ heft. But even the 35 ounces doesn’t lose it any brownie points. Photographers don’t like it, but weight doesn’t put them off buying this exceptional glass. The colors are extraordinary, say reviewers, as is the contrast and sharpness. You’d think that some people would moan about the high price tag, but they don’t. That tells us plenty. Is this the ultimate wide-angle lens at the professional level? Does it check all the right boxes and leave little room for fault? It certainly seems that way, but you can form your own opinions. 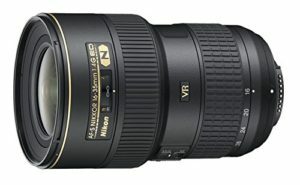 Reviewers who shoot with a Nikon AF-S 14-24mm f/2.8G ED are a select group. They are perfectionists who demand excellence. Think photojournalists, architects, and interior designers as three examples. What we can say with confidence is that this lens has stood the test of time. It’s been with us now since August 2007. It remains the benchmark in UWA zooms for outstanding optical performance. I doubt I’ve ever come across so many positive reviews from a single product as I have with this one. The exceptional Nikon 14-24mm ultra-wide-angle lens has a fast f/2.8 fixed aperture. It helps to keep exposures accurate and constant across the entire zoom range. It’s invaluable in low light. Nikon designed this remarkable chunk of glass for both their FX and DX format cameras. It’s a truly exceptional work of art with 14 elements in 11 groups. The image quality throughout the zoom range is outstanding. Sharpness is edge-to-edge, with vibrant colors and exceptional contrast. We can thank the superior lens construction for this. There are three aspherical elements and two ED lenses. Ghosting and flare are minimal even in bright sunlight because of the nanocrystal coating technology. Nikon’s enhanced optical formulas do a fantastic job and maintain image integrity across all crucial areas. There are no compromises on the internal focusing (IF) either. The powerful built-in Silent Wave Motor (SWM) ensures consistently high-speed, accurate focusing. Other highlights need a mention. The internal focusing keeps the length of the lens constant. It maintains the same subject-working distance between all focal ranges—perfect for Nikon macro photography. You can get as close as 10.8 inches at the 24mm setting. And the lens’ M/A focus mode allows a rapid switch between manual and autofocus as needed. This superior NIKKOR UWA zoom is expensive, so you want it to be tough, and it is. It has a rugged construction and professional-grade moisture and dust resistance. A new lens comes with a few extras as well. There are a lens cover and a rear lens cap. There’s also a purpose made semi-soft protective carry case with a detachable strap. There’s so much to marvel at this lens, but it’s not without a couple of negatives. The first thing to note is that it’s big and bulky. You’re sure to notice the 35.3 ounces when mounted on a camera. Heft is a significant concern for some photographers. It often denotes quality, so it’s not always avoidable. Heavy lenses are more of an issue when mounted on heavy DSLR cameras like the D750 or D810. Nikon’s 14-24mm f/2.8G AF-S doesn’t have any vibration reduction (VR). The cheaper Tamron 15-30 f2.8 Di VC USD does have VR, and for around 800+ bucks less (next review). Most photographers have a specific set of buying considerations. It’s rarely down to one feature or price alone, but it’s always a good idea to know all your options. Click to See Price: Tamron SP 15-30mm f/2.8 Di VC USD Let me get the main gripe out of the way first. This lens is heavy, heavy, heavy. You might want to skip this review if you’re looking for a walk-around lens for all day shoots. Everyone else, keep reading. Tamron’s SP 15-30mm f/2.8 Di VC USD has image stabilization (IS). Stabilization is almost unheard of with UWA zooms. And the Tamron costs about $1000 less than the NIKKOR 14-24mm f/2.8G. Along with image stabilization and the more affordable price is the slightly longer focal length. It’s undoubtedly a pro-grade, wide-angle lens with consistent optical performance across its range. Like the NIKKOR above, Tamron’s SP 15-30mm has a constant f/2.8 aperture. The fast aperture and Vibration Compensation (VC) make it an ideal choice for low-light photography. This lens is also a popular choice for astrophotography, landscapes, and architecture. Despite its attributes, the Tamron doesn’t get me as excited as Nikon’s 14-24mm f/2.8G. For the price, though, Tamron SP 15-30mm f/2.8 Di VC USD takes some beating. This lens is here because of its excellent feedback from real users. The same criterion applies to all lenses in this guide. The approval rating for this puppy is around 94%. The lens is well-balanced say reviewers, despite its bulk. It’s a cheaper alternative to Nikon’s 14-24mm F2.8, and some think it’s just as good. It’s one of those lenses where people return to update their reviews a few months down the line. As an initial complaint, the heft often becomes a mere observation later on, or a minor inconvenience. You might assume the lens needs a tripod because of its weight. Reviewers say not, and they’re right. The effective image stabilization (IS) means far fewer wasted shots with handheld shooting. Tamron’s UWA zoom is a piece of glass that pleasantly surprises those who own it. 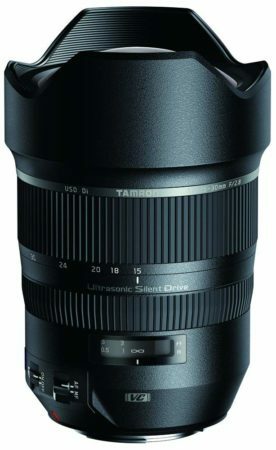 The Tamron SP 15-30mm f/2.8 Di VC USD has Image Stabilization (IS). Some reviewers may also refer to it as Vibration Compensation (VC), but it’s the same basic thing. So how good is it? At 30mm, it’s possible to get sharp handheld images with half a second shutter speeds. You could probably double that to a full second at the widest, 15mm end. The IS is ultra-quiet too. This lens has a fast and constant f/2.8 aperture (fast for a zoom). The 9-blade diaphragm maintains an almost perfect circular opening. The bokeh effect is impressive as it melts away out-of-focus areas. Lens’ construction feels solid in the hands, and some refer to it as a tank. The robust design and build are welcome features. The downside is that the solid build also adds to the heft. Tamron is renowned for budget end lenses, yet they’ve done a sterling job here at the pro level. The image quality surprises photographers who are familiar with the company’s cheaper optics. The results—for the most part—are tack sharp and display beautiful colors and clear contrast. Ghosting and lens flare is at an absolute minimum when shooting against bright light. This is likely due to Tamron’s special coating technologies, eBAND and BBAR. There’s a little vignetting at the widest 15mm end and closest distance. It’s nothing serious though. You can see barrel distortion at 15mm as well, but that’s quite normal at the wider focal lengths. Lateral chromatic aberrations have less than 2px of CA across the focal range and at all apertures. Photo perfectionists can easily correct any CA by using post-processing software if they need to. This lens is heavy with a capital H. At almost 39 ounces, it’s the heaviest chunk of glass in this guide. The heft is one of the prices we sometimes have to pay for quality, solid-build lenses. As an ultra-wide-angle zoom, there is no filter thread at the front. Most people know this before they buy it. It’s still something to think about if you want to protect that front element. There are always third-party adapters if you need filters for creative purposes, but they can be costly. Tamron doesn’t provide a native filter holder that I’m aware of—yet. I have come across a few reports of AF hunting in low light, but they are quite rare. I didn’t experience any hunting issues when I rented this lens for a couple of days. Click to See Price: Nikon AF-S FX NIKKOR 16-35mm f/4G ED My final pick is another wide-angle-to-standard zoom. 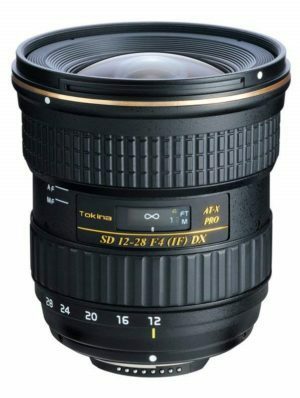 This time it’s Nikon’s AF-S FX NIKKOR 16-35mm f/4G ED. It has incredible sharpness—especially central—a wide FOV, and stabilized design. The lens is long and quite weighty, though not as hefty as some lenses in its class. The Internal Focus (IF) is smooth and accurate. And the Silent Wave Motor (SWM) keeps moving parts fast and quiet. Swapping between manual and autofocus is quick and easy with the M/A Focus Mode switch. The AF-S FX NIKKOR 16-35mm sports many of the key features found on most other high-quality Nikon lenses. Its affordable price and features make it an excellent choice for photographers at the prosumer level. What we have here is a good compromise lens that competes well with its rivals. Finally, the focal range makes it a perfect everyday lens. The only things that let it down are the slowish aperture and overall bulk. 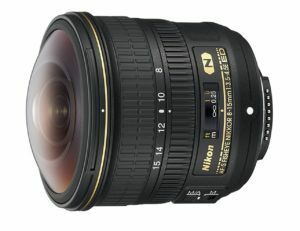 Nikon’s AF-S FX NIKKOR 16-35mm f/4G ED is another highly rated lens by reviewers. Well over 90% of those who own one endorse it as an exceptional wide-angle zoom. So what is it they like? Well, the ease of handling gets a lot of mention, as does the smooth feel and solid body. Reviewers note the plastic, but they say it doesn’t feel cheap. It also helps to keep this heavy lens a tad lighter. Photographers love having a standard filter thread—something not usually found on these zooms. The older Nikon 14-24mm has a spherical lens, so it can’t accommodate filters or accessories. People talk about how fast and sharp the lens is too. They mention how the vibration reduction (VR) adds further to its overall versatility. It’s a little soft wide open. That’s a minor detail for fans and doesn’t lose the lens any of its credibility. Traveling photographers love Nikon’s AF-S FX NIKKOR 16-35mm f/4G ED lens. They like it because they can shoot cityscapes, building interiors, and creative landscapes with total confidence. Natural and artificial lighting can both be unpredictable and pose their challenges. The lens handles all lighting situations well. It copes indoors or outside, close-up or far away, in daylight, or low light. The high-resolution image quality and sharpness is exceptional. And so it should be for an advanced lens in this category. The Nano Crystal Coat (N) does a fantastic job at reducing ghosting and flare. Handheld shooting at slower shutter speeds is quite doable too. We have Nikon’s superior VR image stabilization mechanism to thank for this. The VR delivers blur-free results up to 2.5 stops. A few other highlights include the Silent Wave Motor (SWM) and ED (Extra-Low Dispersion) Glass. There’s also AS (aspherical lens elements) that reduce or eliminate optical aberrations. There are heavier and bulkier wide-angle zooms, but this one is still quite weighty at 24 ounces. Heft can also differ depending on the camera used and how balanced a lens is. On the quality side, there’s a little distortion at 16mm. No lens is 100% perfect, though. Any imperfections are usually easy to fix using popular photo editing software. The build is mostly plastic, but it has a metal mount. However, not all plastic is equal. The good news here is its high quality, so it doesn’t suffer from that plasticky feel as some lenses do. A few photographers resent paying top dollar for plastic lenses—even high-quality ones. But these lenses would be a lot heavier if it weren’t for the synthetic materials, and heft is always a concern. My final gripe is the flower hood that can be awkward to get on. It’s not a major con, but it becomes an irritation after a while.